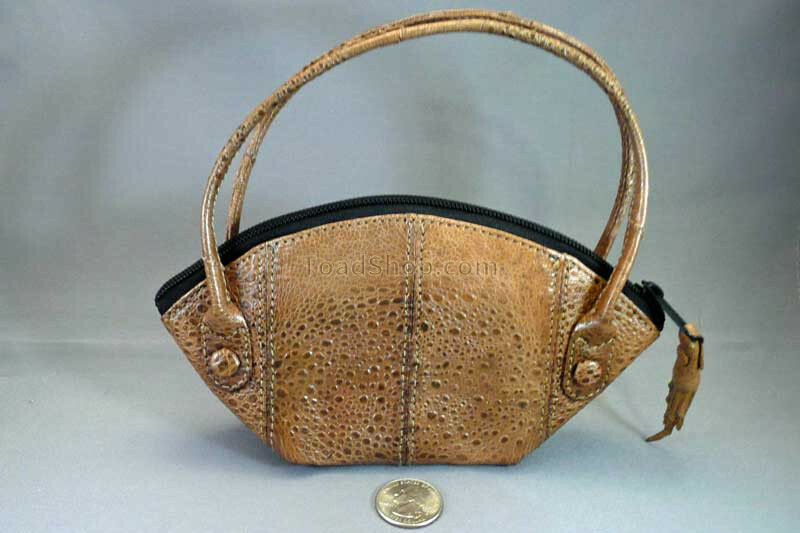 A small handbag made of beautiful, durable Australian Cane Toad leather. Elegant and petite. 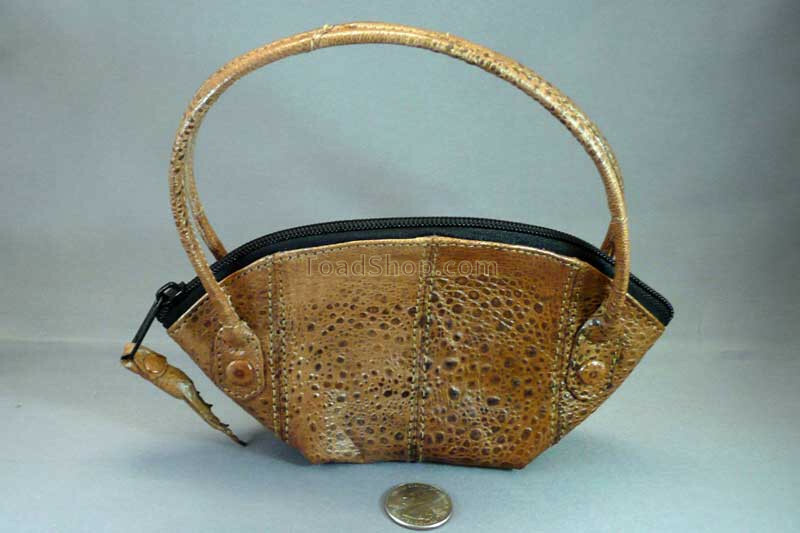 This Australian Cane Toad leather purse is wonderful for a place to put some of your essentials. Could be perfect for women of all ages who want to be a little different in their choice of purses. 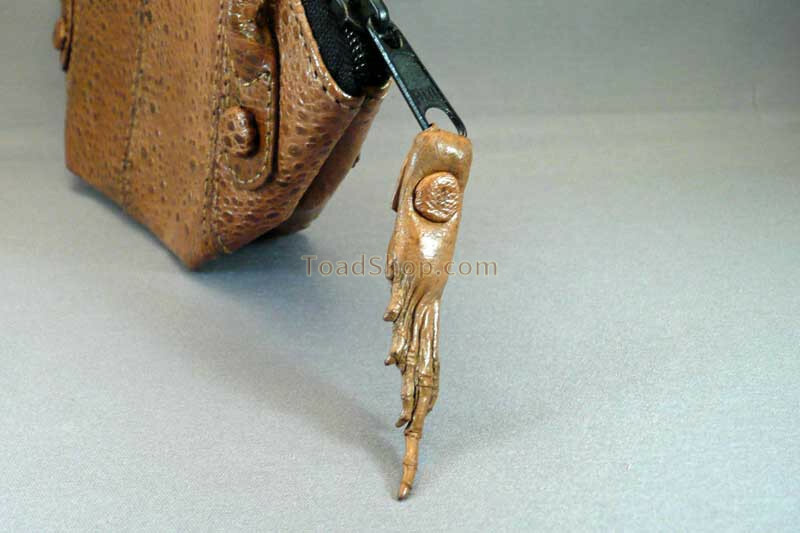 The zipper pull has a small toad foot but there are no toad heads on this purse. Inside, there is a small slot to place your credit card or other important item for easy access. The handbag is approx 7.5" (18cm) long.